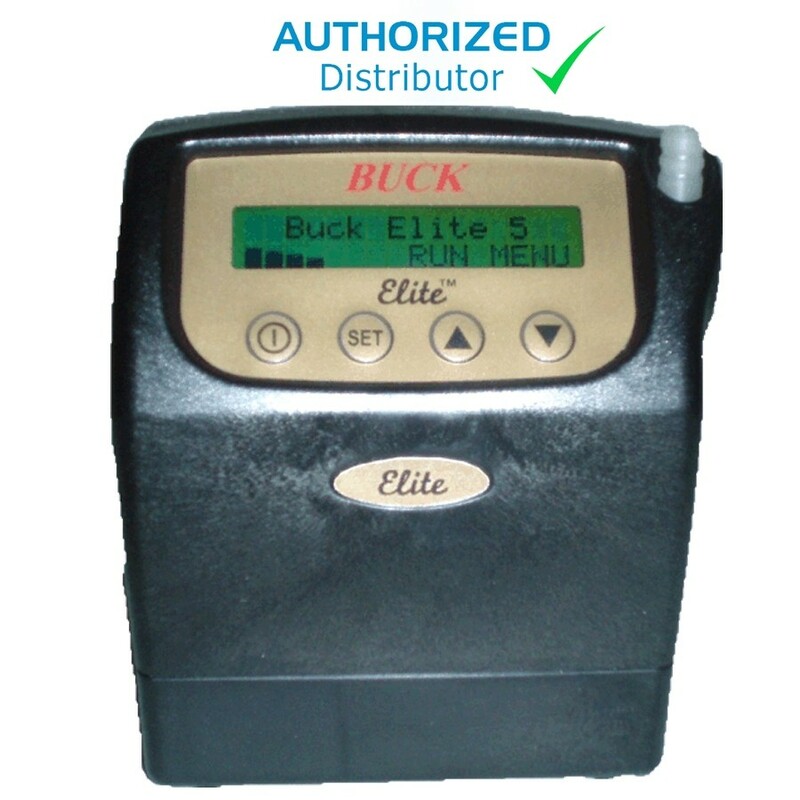 The BUCKElite™ is a data logging, programmable personal air sampler consists of a pump contained in a high impact steel fiber filled Lexan, antistatic, and RFI/EMI-shielded case, exclusive electronic circuit board for constant flow control, an LCD display with 2 lines of 16 characters, a single diaphragm pump mechanism, and a rechargeable NiMH battery pack. Capable for Data logging and programmable for multiple Start/Stop runs with upto ten different ON/OFF durations. Flow range 0.005 to 5LPM. For flow below 800 cc, low flow adapter required. One-hour rechargeable single pack batteries and optional extended run with use of triple packs. 5 packs available, please call 800.293.3003 for more information.